Hello heatwave! If like me you find the thought of this all rather stressful and start panicking where’s-my-spf and all-my-summer-clothes-are-at-mum-and-dad’s then this recipe is a nice excuse to spend a significant proportion of the day inside. I did at least venture out to the yard during the proving time, and survived relatively unscathed. 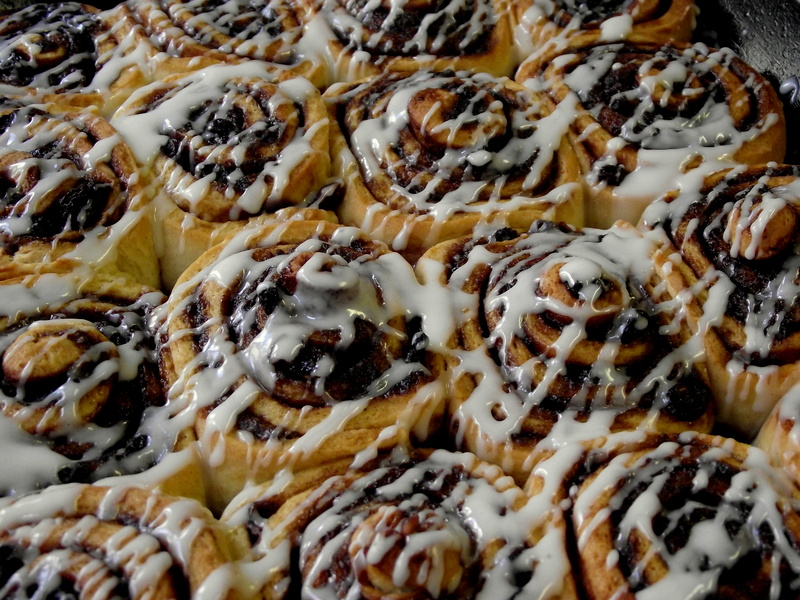 So here we go, cinnamon buns! One of my first forays into baking with yeast, and it was SUCH fun. This is Edd Kimber’s recipe, via Recipe Rifle. Edd Kimber makes one with cream cheese which sounds awfully nice but I didn’t have any so mixed my (skimmed, ugh) milk with about 100g icing sugar and a bit of lemon juice. 1. Melt the butter into the milk over a very low heat and set aside to cool slightly. 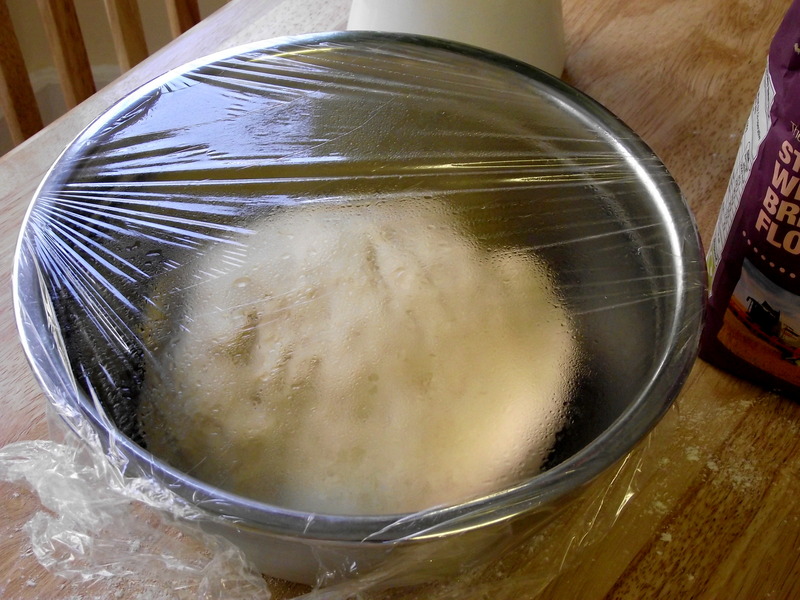 Meanwhile mix together the flour, sugar, salt and yeast in a large bowl. 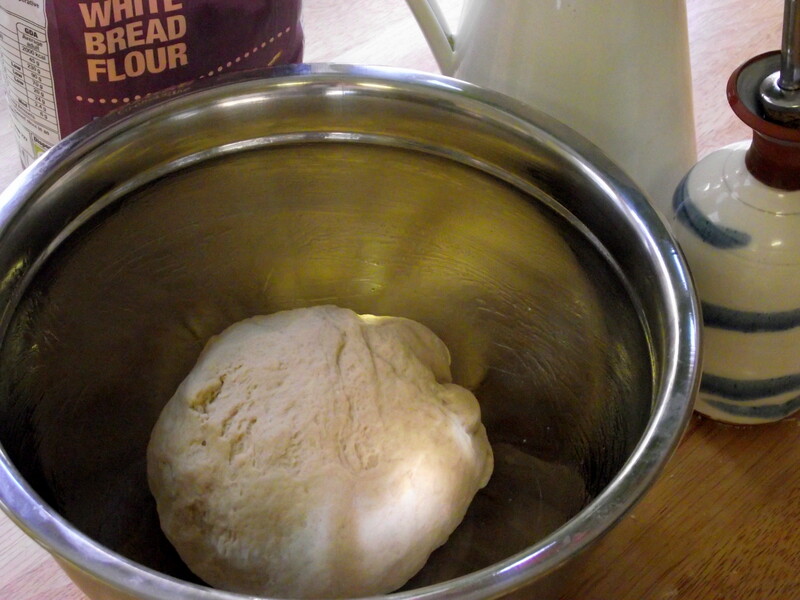 Add the buttery milk and beaten egg, then bring together with your hands to form a dough. 3. 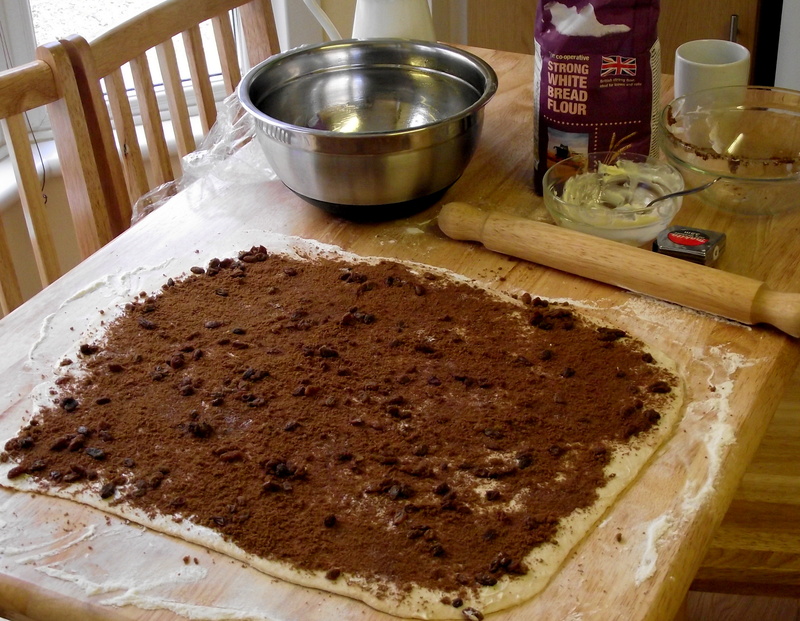 Now roll the dough out into a rectangle that’s roughly 40×50 cm. 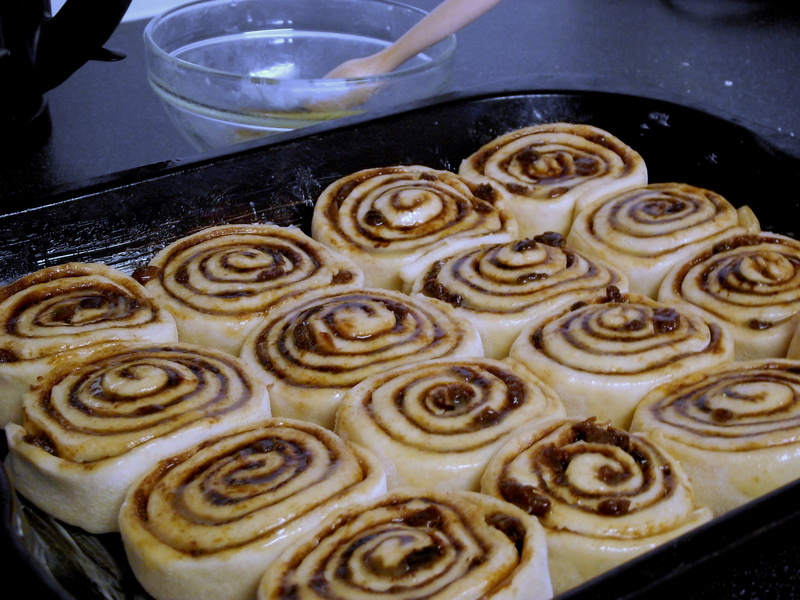 Smear your very soft butter over it (I used my hands but I imagine a pastry brush would suffice) and sprinkle it with the cinnamon, sultana and brown sugar mixture. Then roll it up along the shorter edge nice and tightly. 4. 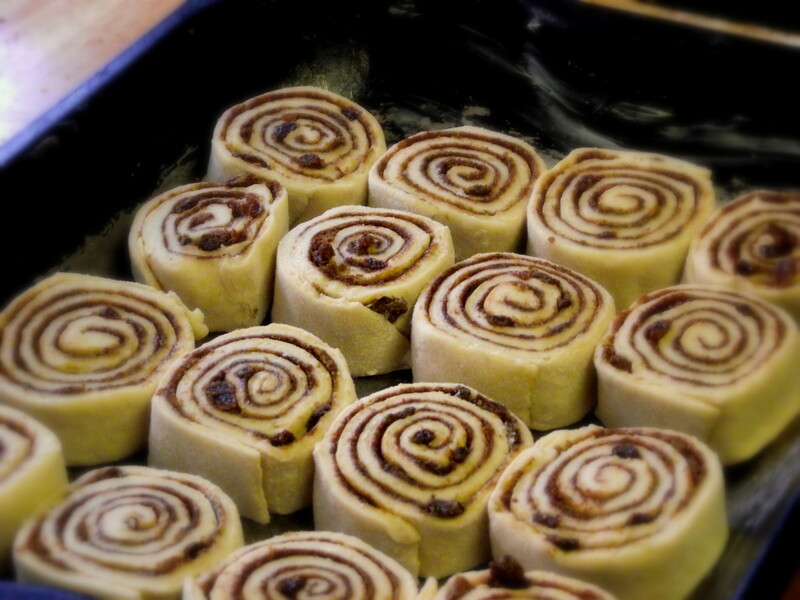 Cut the roll into 16 equal pieces using a very sharp knife and arrange in a roasting tray with nice high sides. Cover again and return to the warm place for another 45 mins. 5. By this point they should have expanded slightly to fill in the gaps. 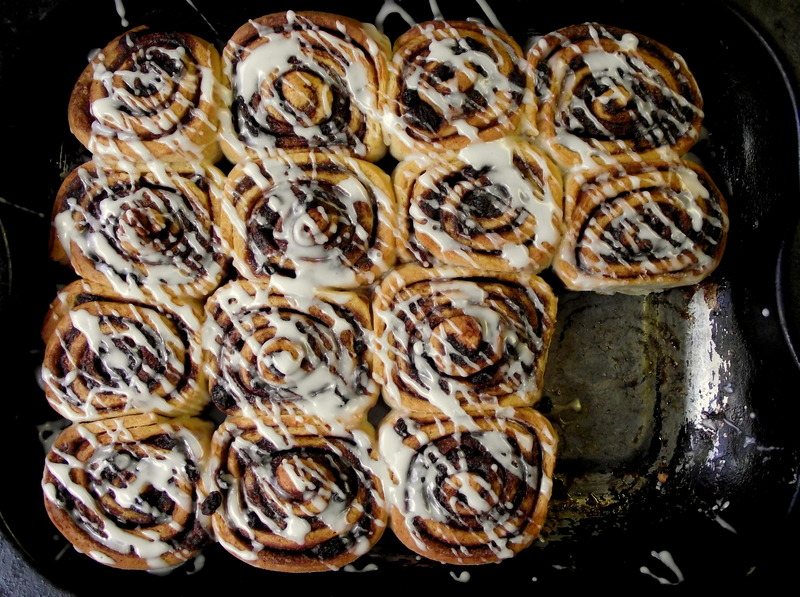 Brush with melted butter and bake at 180C for 30mins, covering with foil halfway through. Ice when cooled slightly but eat whilst still warm!